Thinking about revamping this post series and using the Day One app to make it work better. Been trying to use Field Notes to take notes daily about what should go here but the analog-digital divide there is a little too much. Field Notes works best for me for having one page per activity, rather than one page per day. But Day One is specifically designed for one post per day. Started taking coluracetam at TID 9mg. The only obvious effect is that my dreams are SO MUCH more memorable and vivid. It doesn’t seem to have any of the excess acetylcholine negative symptoms that I experienced with the other racetams I’ve tried, but I have noticed that I’ve been a little more tired than usual. My tinnitus has improved significantly, which is probably due to the tianeptine, which I highly recommend everyone ever take. Started using sulbutiamine more often as an alternate to caffeine, and that works well too, as long as I don’t overdo it. So right now that’s my stack: tianeptine, coluracetam, NALT, caffeine, theanine, NAC. Occasional sulbutiamine and ALCAR. I finished reading Reamde, and posted about it last post. I started Seveneves and it is absolutely amazing. I’m on about page 50 of about 600 or so. It reminds me of Arthur C. Clarke in that it’s got a lot of hard science in it, but the readability is really great. In fact, it’s probably Neal Stephenson’s easiest to read novel so far, despite all of the hard science. Been using Pilot Juice almost exclusively, but that’s because I haven’t been doing much analog note-taking. Juice is by far the easiest to carry around all the time, so that’s that. Uploaded a video of me making a bookmark for Kelsi. I spent a lot of time on the audio track for it and I’m pretty proud of it. Probably one of the best “in the box” MIDI sequencer-based compositions I’ve done. Also found a nice ffmpeg incantation for turning an audio file into a video with visualizations, so I’m doing that to all the And Stuff podcast episodes and putting them on youtube. The audio quality is actually better than the actual podcast because youtube gives you infinite space and the free podcast host we’re using only gives you 50MB per month. So on youtube I’m using 384kbps aac for audio, and on podbean I’m using V9 mp3 (which is about 38kbps). Class is almost over, I hate it so much. Final is on thursday. I need to cram basically starting now, oops. Did 9.0 miles, which is an improvement over the last few weeks. I’m loving cycling so, so much. Anyway. Good week, I think. Hoorah! I just finished REAMDE! Since last post that’s pages 953-1044. In total I read 240 pages today, which sounds low for the amount of reading I did, but it is Neal Stephenson and all. And by the end of it I think there were seven major protagonists to keep track of. A short review of REAMDE by Neal Stephenson follows. This is by far the closest thing to an action film that Stephenson has come to in terms of plot. The first half or so of the novel is basically a crime/espionage thriller, but with the humorously hyper-modern twist that all of the kidnapping and burglary and everything gets set into motion by a computer virus (called REAMDE) that holds your data ransom. And the ransom can only be paid in in-game currency in a popular MMORPG. Most of this plot is resolved when the primary protagonist, at this point a captive of ex-KGB who drag her to china in an effort to get their data back, is “rescued” by stumbling unto a jihadist bomb factory in Xiamen. Then the second half of the plot starts out as a giant international chase scene before concluding with a detailed tactical engagement involving something like four small armies. If filmed, this might even be longer than the forty-minute action scene in Mad Max: Fury Road. Which is not a complaint at all. I guess what Stephenson did the best in this novel all has to do with form and plot, but it didn’t really incorporate any of the themes we’re used to. The lengthy sections describing the internal workings of the MMORPG were very Stephensonian but other than that most of the exposition was focused on the family of survivalists and the bizarre journeys of characters who unfortunately found themselves swept into the plot. This might sound very snooty, but I usually expect there to be at least one or two highly intellectual themes, or at least influences, in Stephenson, and that’s where this book seems to be lacking. And while MMOs are fine, I’d really rather read about pretty much any other tech instead, but I guess I’m just quibbling. Overall it is still a great book, and despite lacking a few attributes I usually expect from the author, it tickled my brain in most of the other ways I expect from his books. I mentioned earlier today there was that point where all of the chaos he’s made of the plot starts to reveal hidden patterns and all of the characters who’ve been scattered across the globe start showing signs that their random journeys will all end up in the same place and as the reader I feel myself saying “oh jeeze, oh jeeze” and then from that point on every word gets more and more satisfying. And that’s enough of a reason to read it, for me, anyway. Got to the spot I was anticipating a few posts ago. The uncle and the jihadists have now run smack into the MI6 agent and the Russian mobster, who have teamed up with the uncle’s gun nut extended family. I learned a new word: “jeremiad”. Here are some excerpts that kind of illustrate how badass this part of the book is. The cougar Zula fragged those jihadists with is still stalking them, apparently. Anyway, I’ve read about 150 pages and only have about 100 pages left in this tome. I guess I’ll just keep reading until I finish it and then making a final post. This was actually really fun and makes me feel like blogging is new again, even though it was a pretty simple task. Hooray for reading! Read pages 845-877 of REAMDE. Zula just did the most badass thing–escaped her captors by intentionally attracting a cougar to their campsite by disposing of food poorly. Love it when on page 869 of a book we’re introduced to a new, relatively important character, lol. It’s weird but despite the random new addition I find myself already emotionally connected to him. Also did 45 pushups and 66 situps, hahawoo. I had an appointment at 2 CST so I didn’t actually get in as much reading, but whatever. Before my appointment I went to Mojo coffee shop and read while enjoying an americano. Mojo is definitely the best cafe in New Orleans. I’m having such a good time insisting on reading today, I recommend everyone read all day sometime, just because. I started on page 804 (of 1042) in REAMDE, and now I’m on page 844. It’s getting to the point in the novel where all of the factions present–the surviving russian mobster, the jihadist cell, the CIA-agent, the virus-writer-MMO-player (who is now teamed up with the russian mobster’s former computer contractor and the jihadist’s captive’s friend), and the MMO game’s company’s CEO (who is the jihadist’s captive’s uncle)–are all geographically about to run into each other. We’ve been following all of their personal stories in a kind of meandering viewpoint for a long time now, and all of those stories, while entwined, were separate, but they’re all about to become one. This is a pretty typical Stephenson thing and it’s always the payoff for getting though 75% or so of a 1k page novel, because he always pulls it off so satisfyingly. Even though this is probably the least satisfying novel I’ve read by him, it’s still tickling my brain in all of the right places. I just came to the end of the 19th “chapter”, but each chapter is really just a day in the story, and is broken up into unnumbered sections where the viewpoint character changes. I mentioned on a recent episode of my podcast that Stephenson (and Pynchon) does this a lot, where there is a giant amount of detail for each day of the story, such that the story is “short” in that this one only takes 20someodd days of time, but still takes up 1000 pages. Also, I just biked 2.8 miles. Feels so good! Thinking about doing a kind of personal “readathon” just because I haven’t been reading as much as I like to and, well, as they say, “treat yo self”. All I really need to do today is study, so I guess that’ll be study and read, although I’d also like to cycle, and do some laundry, etc. I’m thinking I’ll try and make four posts today, if that isn’t too annoying, about my reading progress. OK, well. I’ll post an update around noon. Ugh, I’m late again. I’ve been kind of “detoxing” from supplements, and also from caffeine and alcohol. Unfortunately if I don’t have any caffeine then basically I sleep all day. Tianeptine still seems to be working. I seriously don’t understand why it isn’t a first-line treatment for a whole slew of mental conditions. Another thing I did in the past few days is completely upgrade my netbook to Debian 8.1 “jessie”. It’s made a lot of workarounds I had to do in 7.8 “wheezy” unnecessary, which makes me so happy. I wanted to install it on my girlfriend’s netbook also but I’m encountering a weird error. Enjoyed getting everything set up today–I might make a post just for myself to remember all the things I do to get a system the way I like it. One thing that sucked is that when I installed Wheezy I didn’t allocate enough space to the root partition, so I had to do a fresh install for Jessie instead of “upgrading in place”, which is what I was able to do on my main desktop. Also she got a new phone, so I took her old one. It’s the same model as my old one, but mine … has a broken screen. So that’s nice. Listened to an old episode of App Story and Vic actually talks about Pragmatic, which is kind of hilarious because he later became a cohost on Pragmatic. Barely read anything. I want to actually read some of the stuff on Gutenberg that Cameron has been reading, but haven’t gotten around to it. Still loving the green-black Diamine ink in my Platinum Preppy 03. Not really much to say on the pen front other than I’ve gotten in the habit of using a dark red Pilot Juice 0.4mm in a “daily carry” kind of sense. Clipping it in my back pocket next to my field notes is less uncomfortable that one might expect. Actually watched the original Buffy the Vampire Slayer movie the other day. It’s so bad but it brought such great things, so … whatever. I think Joss said that the movie isn’t in the same canon as the show, but the original screenplay for the movie is. Hence mentions in the show of the gym getting burned down but that never happens in the movie, etc. Podcasting: Episode 004 of And Stuff, but I already posted about it. Didn’t do any coding yet, but I did migrate all of my bots to dropbox so I can run them from any computer. Hate this class. Test on Wednesday, gotta start cramming basically now. I cycled 7.7 miles last week. Previous weeks were 6.9, 11.17, 12.54. Podcast was uploaded two days late and blogged about four days late, but it got done so it’s not the end of the world. Haven’t worked any on guitar amp. Finished desk joinery. Need to plane and sand a bit and then glue it to the top next. I started being stricter about diet. Eating powderchow every morning and baking chicken every night and having eggs for lunch. Now I just have to cut back on the snacking and the beer and I’ll probably get my body fat percentage where I want it. Apparently in the past month I’ve gained about ten pounds, so yeah. I’m up to doing 4 sun salutations every day and 30 pushups and 45 situps every other day. Kind of need to get a pullup bar or something though. Applied for a job. No call yet so I might go apply to the other location. This time Cameron and I talk about Google and Sod Walls and The Land of the Burnt Thigh. Gorilla Glue is a polyurethane glue, and doesn’t contain epoxy. 10% of California’s water goes to farming almonds–but that might not be as bad as that sounds? I’m a day late this week, probably due to an epic sulbutiamine crash around 9PM last night. After being on Tianeptine for a week I feel basically as non-depressed as I ever have in my life. Been sleeping a lot extra and not been 100% productive though. Pretty sure the productivity drop is due to the extra sleep though. My dreams have been more detailed and more realistic and more lucid, which is kind of amazing. Mostly interesting, not exactly a real difference in my life but a pleasant new thing nonetheless. Episode #5 of the new Green Brothers’ podcast has Maureen Johnson instead of John Green, which is basically amazing. I think I have a weird crush on her, don’t tell my girlfriend. I haven’t really been keeping track of my podcasting listening as well as I did before, whatever. I started listening to old episodes of Bionic and they’ve gone completely off the rails. It’s extremely confusing. Still reading REAMDE. I should actually keep track of how much time I’m spending reading each week. Also read some in Fates of the Dead, a book someone I know on twitter wrote. It’s pretty good–I kind of usually like things where characters are introduced separately and then meet up later, and you get to take turns knowing each character’s actual thoughts. My Preppy 03 ran out of ink, so I refilled it with Diamine Green-Black. I think I like this ink better than the Blue-Black Parker Quink, but they’re both great. I got ink everywhere when I refilled it though, not really the best thing. Been taking school notes in my old Doane idea journal, which I love. Watched Coraline with some friends. Honestly I thought it was amazing. Something about stop-motion always makes me smile. The ending was a little bit too straightforward for my tastes but it’s about what I’d expect from something in the “PG” category. Youtube: Uploaded one video of me playing Super Hexagon. 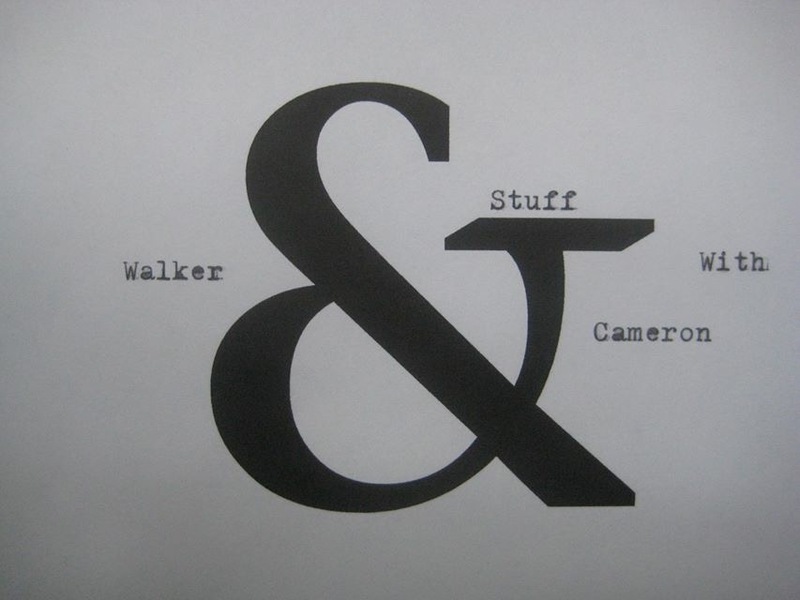 Podcasting: One episode of And Stuff, which I’ve probably alread promoted to death on WordPress. Gonna discontinue this series as it is and make it a python coding progress section. I haven’t started any coding though. I’m still making profit so, whatever. Got an 83 on my first Relays test. Pretty happy about that. Not sure how I lucked out that much but don’t look a gift horse in the mouth. I cycled 6.9 miles last week. Way less than the week before (11.17) and the week before that (12.54), but whatever. I’ve been really on top of web presence, if you excuse this blog post being a day late. Mostly thanks to buffer being really useful. Thinking about trying to use IFTTT but haven’t investigated it yet. Podcast is going great. Going to be doing uploads every Thursday I think. Almost done with all the joinery I’m going to do for the desk. I need to cut it out and just do glue-screw for the entire rest of the project. Still haven’t applied for the job I said I was going to. Probably because haven’t put it into OmniFocus. It’s getting kind of bad, but also good, that if it’s in OmniFocus it’ll get done and if it isn’t then it won’t. I guess that actually means the system is working. And Stuff Podcast: Episode 003 — That Damned Luminous Orb! This time Cameron and I talk about Xanga and zen koans and books. You are currently browsing the Adventures in Thing Making blog archives for July, 2015.